The impulse sewing bug strikes again! We were at my mom's house in Massachusetts this weekend and I wandered into her sewing room looking for a darning needle for my Hetty cardigan. Her fabric stash was sitting right there, so I just decided to look through it, out of you know, curiosity. And I saw this wax print fabric and I thought "Why don't I make Z and her baby cousin R some simple matching elastic-waist skirts?" So I did. And then after the kids were in bed I saw my mom had some elastic thread and I thought "Why don't I make matching shirred tops?" Presto! 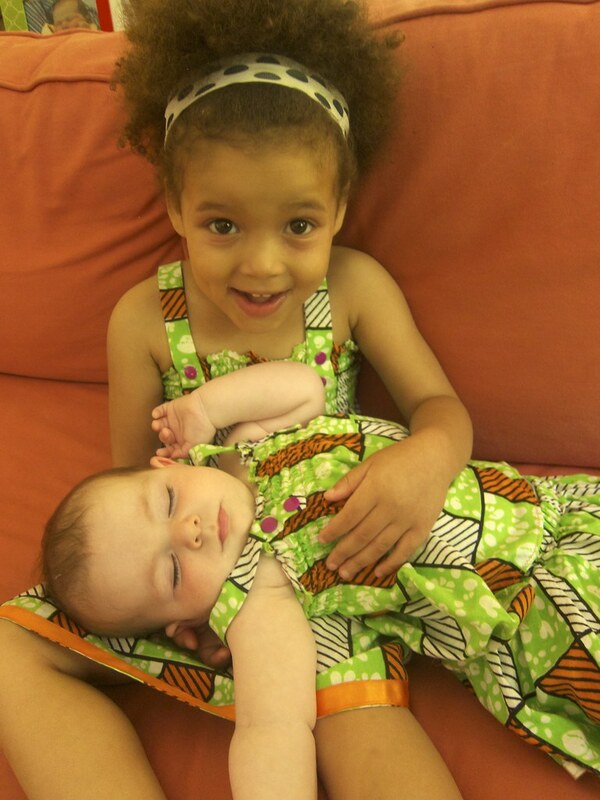 Instant matching wax print cuteness. 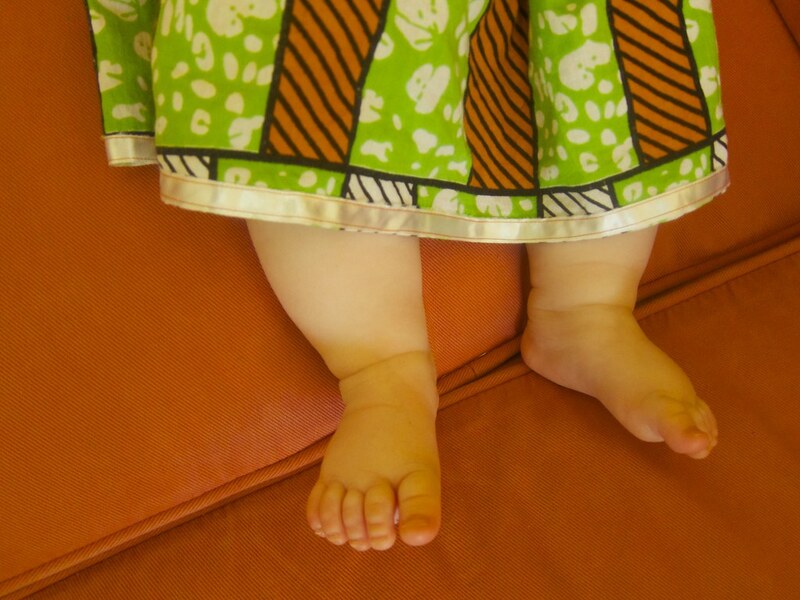 Pattern: I used two free tutorials I'd been eyeing for a while — the Made by Rae Baby Sunsuit (to make the shirred tops—I just left off the bottom part) and the Oliver + S Lazy Days skirt. Both are just constructed from simple rectangles — the skirt is a full width of fabric gathered by an elastic waistband and trimmed with a ribbon hem, and the top is a rectangle with some elastic shirring and straps. Fabric: "Veritable" Dutch wax print cotton borrowed from my mom's stash. 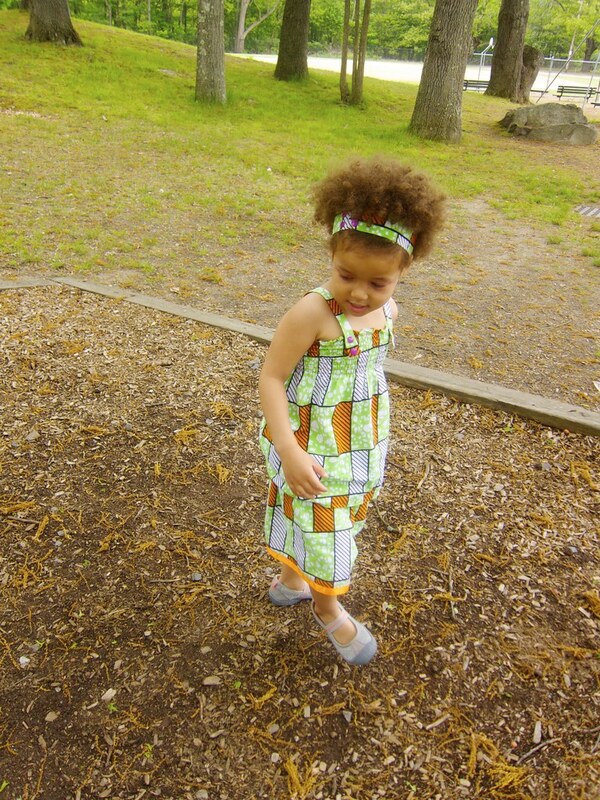 She got it from my beloved Sew-Fisticated Discount Fabrics in Boston (see my review). Size: I just went by the girls' waist measurements, and made the tops and skirts a bit long on them so they could wear for a while yet. I remember the first time I realized it was possible to make simple items like skirts without (gasp!) an actual pattern—that many garments were nothing but rectangles or circles gathered up in different ways. 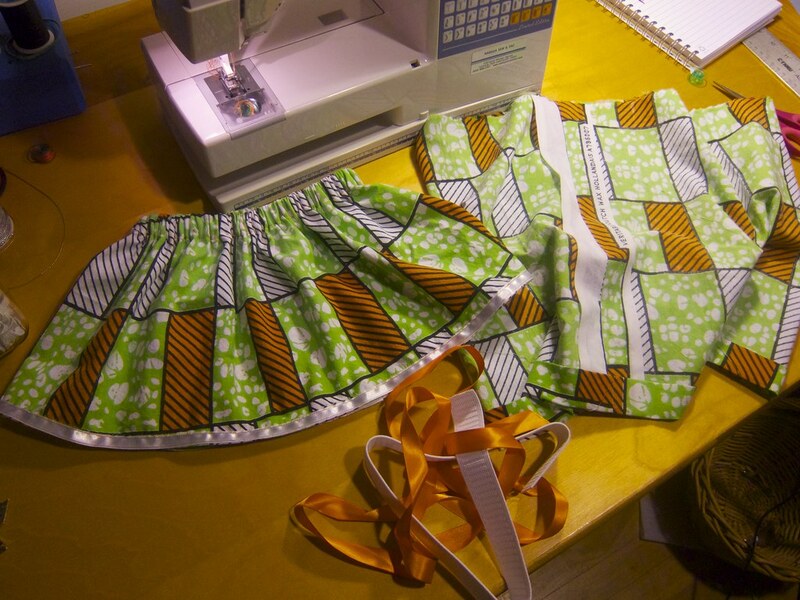 At the time I went a little crazy and sewed like, six elastic-waist full skirts before I realized it wasn't always the most flattering look for me. But it works really well on these little girls! Instructions: Both tutorials/patterns had excellent, clear, detailed instructions. Construction notes: I added two extra rows of shirring on Z's top since she is so much bigger than R. And I added extra snaps to make the tops adjustable. All in all, an impulse sewing win! 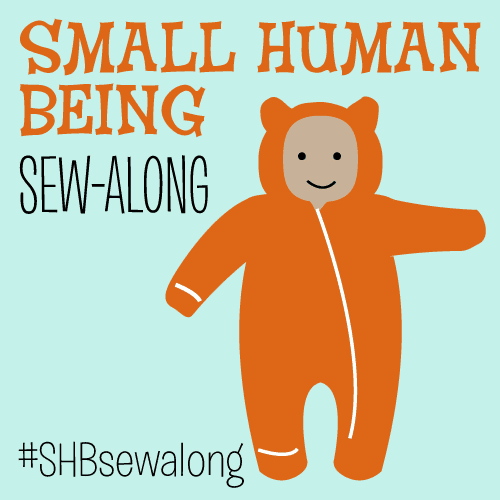 So: Do you ever make simple garments from rectangles or sew from tutorials? Or are you all about using actual pattern pieces? oh...my...god! Those photos are so friggin CUTE! 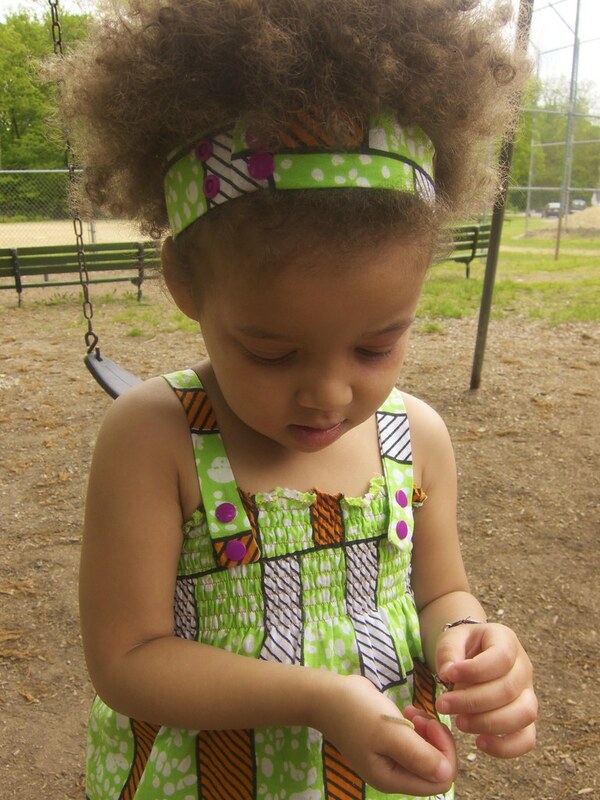 I love that fabric! 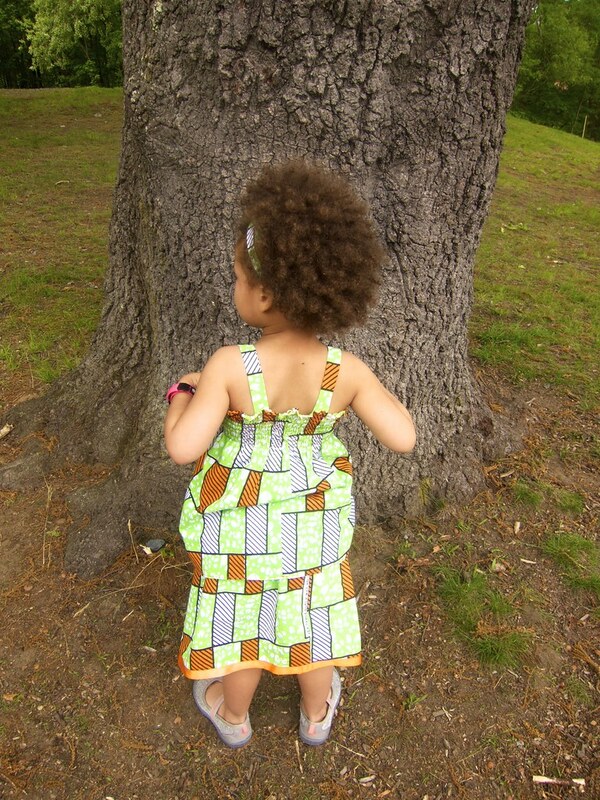 Im waiting for a friend to arrive home from holidays in Africa with some local fabrics for me to sew! 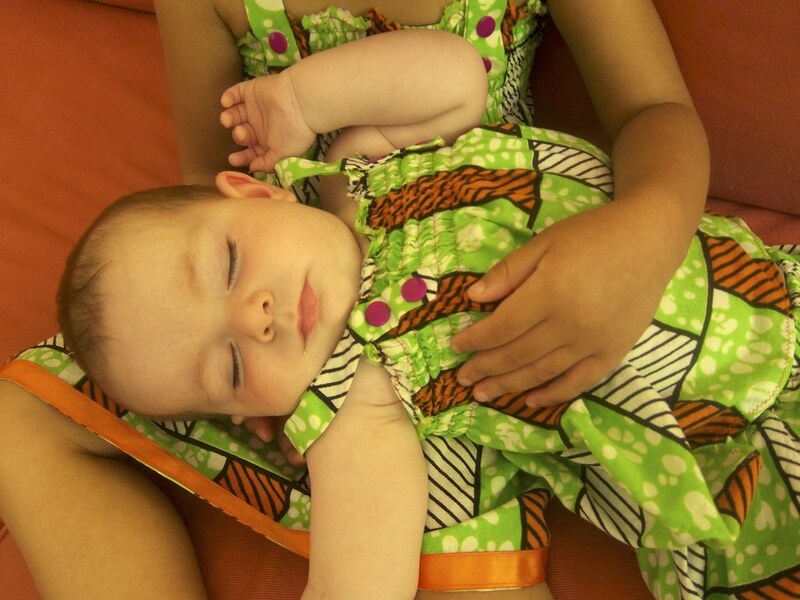 The sunsuit dress is a very good idea! I usually use a pattern but mix the patterns up to only take the bits I need, like arm holes or darts. But I think a skirt I would make without a pattern. I also use old clothes quite a bit to make patterns from. Love your work, little lady!! Wax prints are the BEST! I do think arm holes or darts require more drafting, and I haven't done those without a pattern either. But when something is strapless like this, I think a pattern becomes very optional. Cute!! 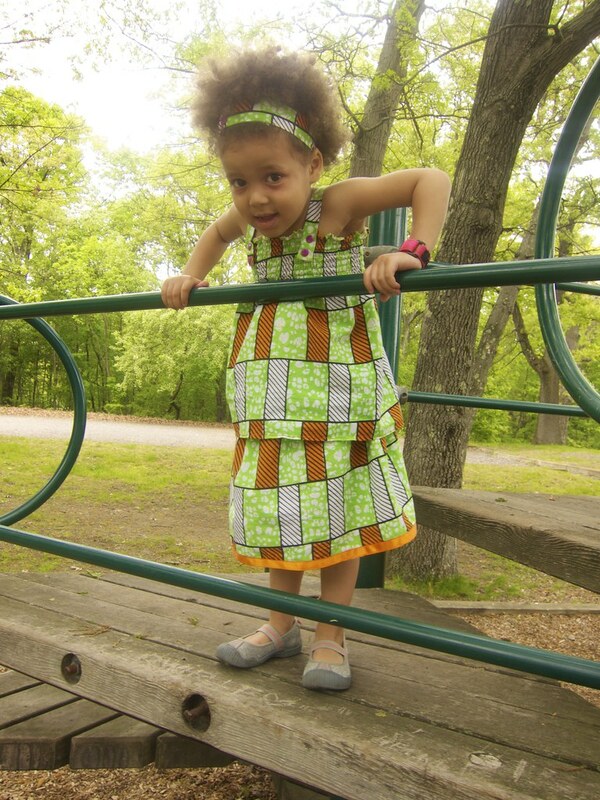 Kids must be fun to sew for - such small amounts of fabric and they can pull off styles adults may find trouble with. I love the cousin pictures, that baby's out! Babies especially use almost NO fabric... at this point I generally need at LEAST a yard for Z, so I can't just use my scraps anymore. The girl is gigantic! Adorable! These are cute! I really like that the tops and skirts can be used to mix and match with other pieces so you have a lot of options and versatility! Yeah, that was why I didn't make them dresses... I thought it would be more fun to make separates for mix and match. Yes, exactly my thought on why I went this route instead of making dresses. 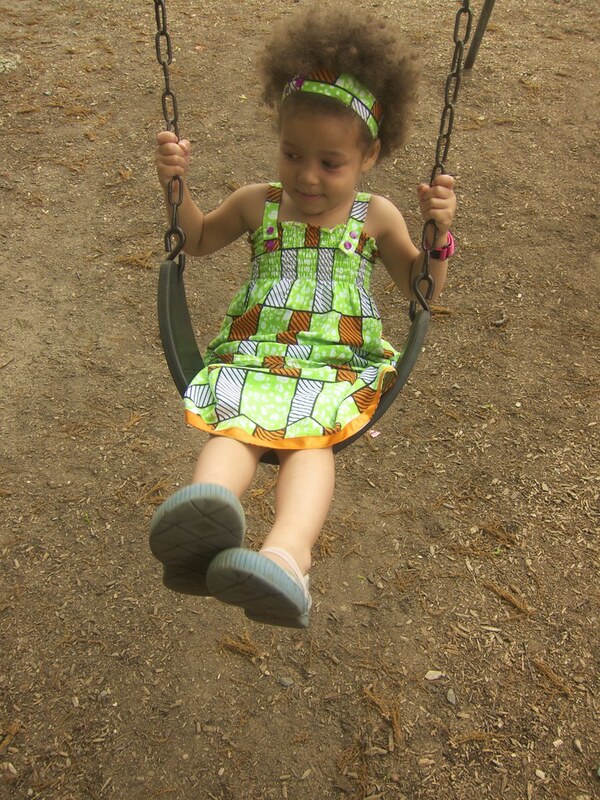 Z is looking so adorable and grown-up! And I love the hairband to go with the dress. It totally pulls the "outfit" together. I have to give my mom credit for that! It really does tie it all together. Oh. My. Goodness. Blinded by the cute. 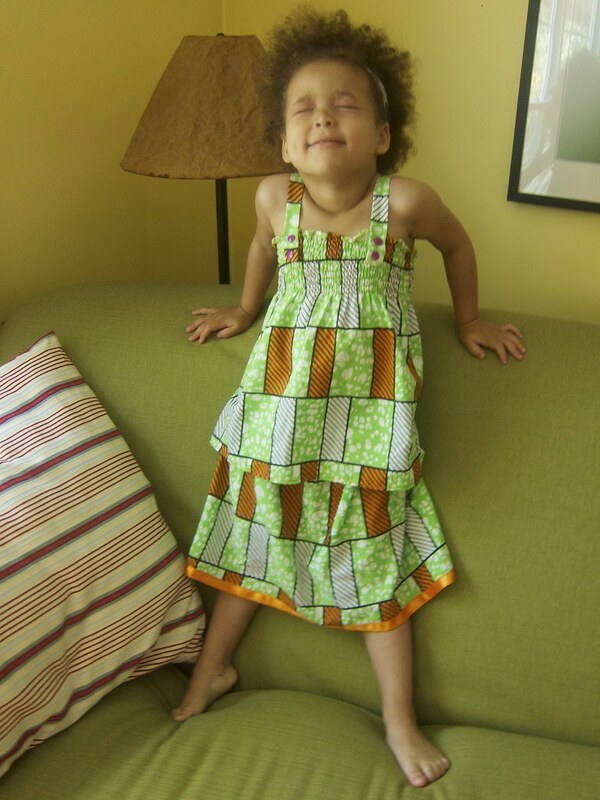 I find that fast and easy (and rectangular) sews are often the best for little kids! 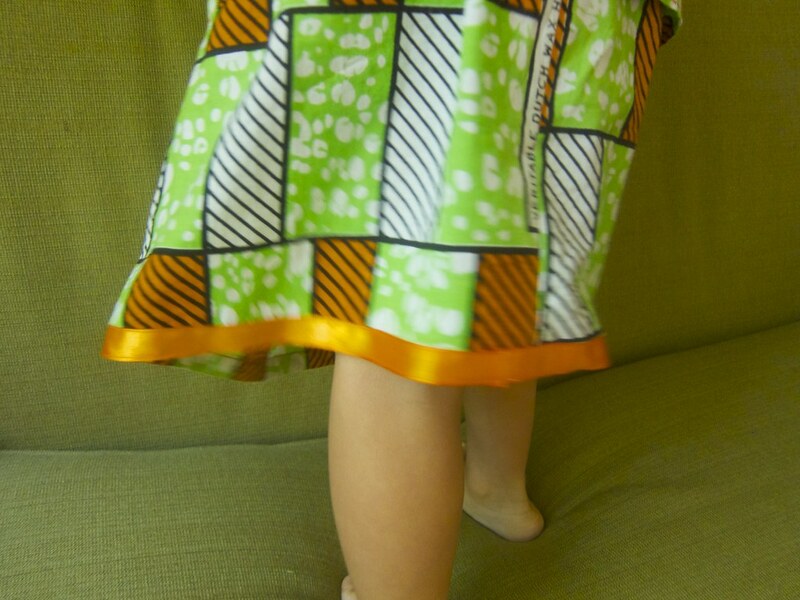 My little niece loves the Lazy Day skirts I've made her, and it really doesn't get easier than that! The shot with the kermit puppet cracks me up. 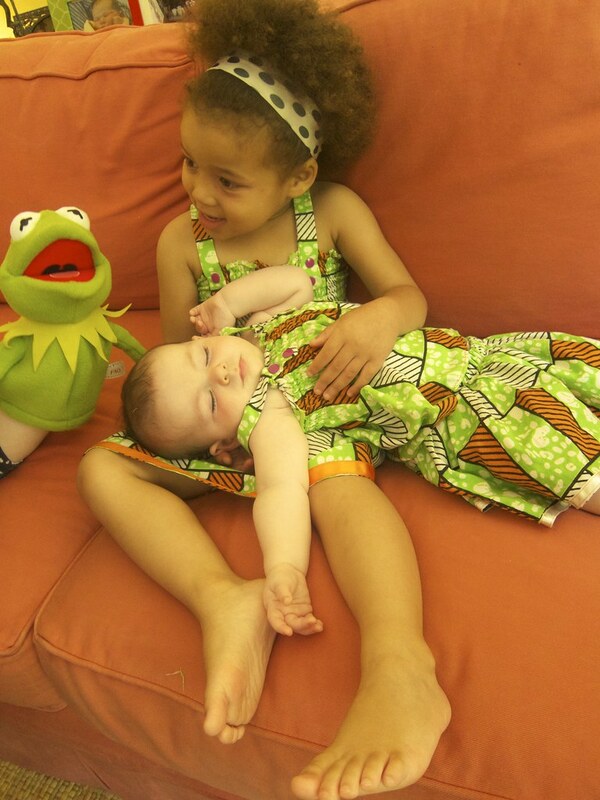 I need a kermit puppet for photo shoots with my kids! Cuuuuute! I love that they are separates. Tons of wear out of both pieces. Those are some seriously adorable models. I suppose I should be commenting on the clothes here (which are adorable! ), but Z steals the show. Z is for zinger!